Churches need stores, and stores need churches. Local Christian stores strengthen the individuals and families within area churches that, in turn, fortify the church as a whole. But the Christian retailer must overcome two hurdles to achieve these partnerships. The first hurdle is that we ourselves need to believe in the value of the church-store partnership. The second is that we have to help churches understand it. To help with this, I asked key church customers why they shop at our store, Logos Christian Bookstore in Alexandria, Kentucky. Their responses were humbling to me, and I was surprised that similar themes emerged. 1. Building relationships. Having a strong relationship was the most prominent theme in the responses. It’s important to know the church leaders and make sure they know you. Find out what, where and when they purchase materials, and follow up to show them you want to make their job easier. You will be invaluable to them as you become their research assistant. Serving local churches will gain your store quantity sales for now and win an advocate for later. When someone sees that you value them, their church and the community, they will support your store. 2. Product intelligence. Product availability and knowledge are also keys to the church-store relationship. When church leaders enter your store, it must be evident that your store is in the church resource business. When we enlarged our church resource area and created distinct signage for it, sales grew. Customers began to see that we had in stock the products they needed to meet their immediate needs. The availability of seasonal supplies—quarterly curriculum, Vacation Bible School resources and holiday gifts—builds customer confidence. Catalogs with larger items and a broader depth of titles also strengthen your store’s credibility as a church partner. 3. Shopping local. Church leaders hear from the small business owners and employees in their congregations about the struggles they face, so they like to shop local. Many also see the Christian retail store as a ministry to the community, and shopping local connects pastors with that community. Building relationships with church leaders, solving their problems by assisting with products and providing solid customer service are invaluable best practices in increasing church sales. Serving churches in Christian retail is not for the faint of heart, but strong church-store partnerships can lead to success for your store. 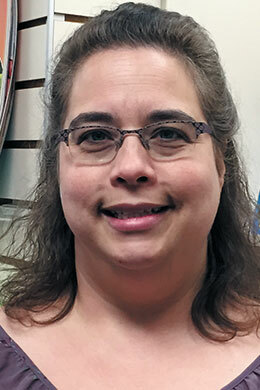 Cheryl Blythe has been the church resource specialist with Logos Christian Bookstore in Alexandria, Kentucky, for more than 11 years. She has presented workshops on increasing church sales at the Logos Annual Conference.